Does your commercial or industrial space need janitorial services? Our Mississauga team can help. 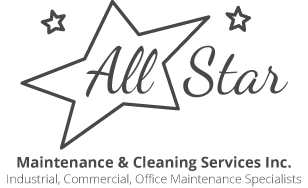 At All Star Maintenance, we offer a wide range of cleaning services throughout the area. With over 35 years of experience, we are now able to create custom cleaning plans for each of our clients. We also offer a "green cleaning" optional service. 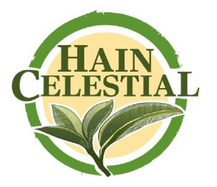 If you want to keep the environment as clean as your office, choose to have our team use green cleaning products on your space. Our team treats your space like they would their own home. Each member of our staff provides years of experience and professionalism when it comes to commercial cleaning. We work around your schedule and will clean any time of the day or night. If your office needs an emergency clean, you can count on us to deliver quick, quality results. We provide 24-hour emergency service to prevent damage to important office equipment and documents. We're fully insured so you can expect our services to meet your expectations. Contact us at 905-502-0813 to learn more about the commercial cleaning Mississauga residents trust. New consumers with a signed contract get a free initial clean up, carpet treatment or floor treatment.